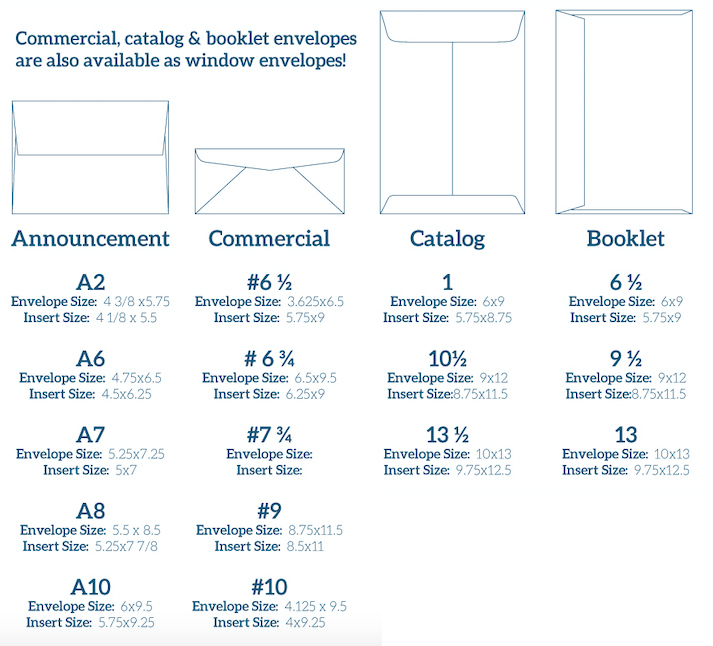 Here is a quick overview of our most commonly requested envelope and insert sizes. If you have any questions about ordering or how to add an envelope to your existing online store, please contact your sales representative. Typically accordion folds have 6-panels and two parallel folds that go in opposite directions. Each panel of the accordion fold is about the same size. Variations include half-accordion folds where one panel is half the size of the other two and engineering folds where one panel is twice the size of the other two. Eight and 10-page accordion folds are also common. In C-Folds there are six panels with two parallel folds in a spiral fold configuration. This is a common type of fold for tri-fold brochures. To allow the panels to nest inside each other properly, the folded-in end panel is usually 1/32” to 1/8” narrower than the other panels. Paper with cross-folds have two or more folds going in different directions, typically at right angles. Primarily used in reference to bookwork (paper crossfolded then cut to form a signature ). Once a product has more than three panels, it is not considered a C-Fold or Letterfold. Instead, it is called a Spiral Fold, Barrel Roll or Roll Fold. Seen from above, the folds spiral inward. In French folds, the paper is folded with cross folds or right angle folds, often with a short first fold. The shorter portion or head in french folds may be folded to the inside (heads in) or outside (heads out). Gate folds have the left and right edges fold inward with parallel folds and meet in the middle of the page without overlapping. In double gate folds there are three parallel folds. The left and right edges of the paper fold and meet in the middle, without overlapping, along a center fold. The outer panels (the ones that fold in to the middle) are usually 1/32” to 1/8” smaller than the inner panels (the ones covered by the panels that fold in) to allow for proper folding and nesting. J-­C Press uses special software that approves mailing databases for processing. It looks for very specific criteria that could affect how the mail is delivered and what could create confusion in the delivery process. We have provided an example of what a clean database should look like, as well as an empty template that can be used to build a proper mailing list. Download templates below or read more on formatting. PO Boxes, if included, should be entered into the alternate address column. If you use a PO Box for your address, enter it by itself within the primary address column. Any none-­address information should be entered into its own cell. In the case of none-­US states, enter the state abbreviation after the city name in the city column. Foreign states with 3 or more character abbreviations are to be entered after the city name within the city column. In the “Acceptable Abbreviations” section below, note that “St” should ONLY be used to abbreviate “Street”. Words such as “Saint” and “State” should be completely spelled out to ensure accurate mailing. 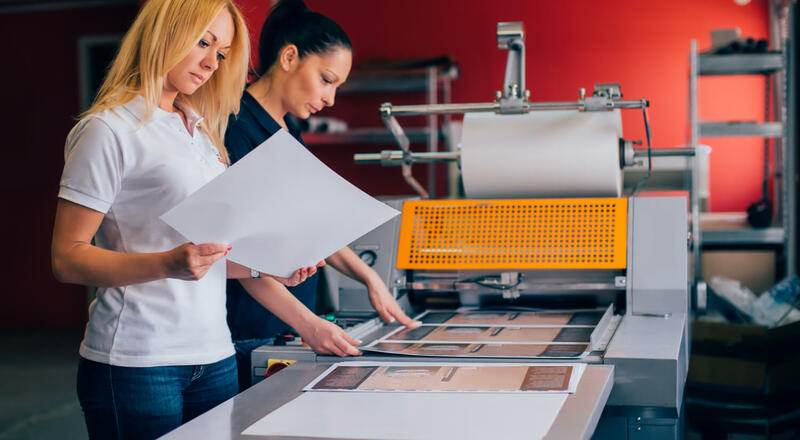 Let us take care of your next print or marketing campaign. Stay up-to-date by subscribing to our emails.